Gene and his wife Angelica have been married for 31 years. They met at Primera Iglesia Bautista de Bensenville in Illinois where they married and had three children. Gene and Angelica have lived in Florida, Illinois, Colorado, and Texas. Gene became a christian as a child and grew up in a Christian home with a devoted christian mom. Angelica became a christian at the age of 16 and did not grow up in a Christian home. 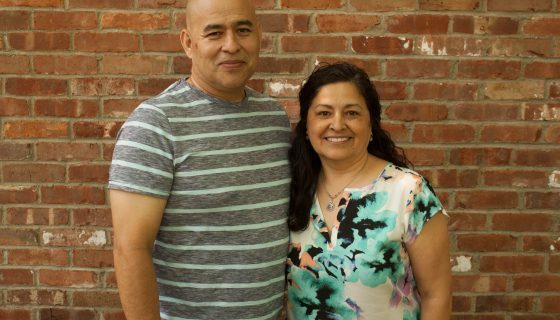 Gene and Angelica have been attending Grace since April of 2014 and became members in 2016. Currently, Gene works for Bethany Church in Wyckoff and Angelica works at Ridgewood High School They are now enjoying three grown children, their wives, and three grandchildren. Ezekiel is married to Stacey and Amber is their latest grandchild. Zachary is married to Nancy and have two children: Max and Anahi.